A friend of mine spent a whole summer trying to eradicate houseflies from her cousin’s home in the Yukon Territory of northwest Canada. She covered the house in fly tape and built special traps. She removed every houseplant, suspecting flies were laying eggs in the soil. Before she knew it, the summer was over, but the flies remained. Packing to leave, she reached for something on top of the fridge.“Stop — don’t!” her cousin warned. He had found the source — flies had been nesting in a forgotten bag of rotten potatoes. If there’s one thing a fly does best, it’s reproduce. But what if I told you the common housefly could help clean up the world? Since half of our beef, pork and poultry comes from industrial farms where animals are heavily dosed with antibiotics, what to do with the tainted waste these animals produce is a dire concern. For six years, scientists in Hangzhou, China have been using housefly larvae to reduce factory farm waste. When environmental scientist XinHau Xu and his colleagues added the larvae to pig manure, they broke down the antibiotics in the manure so quickly that 70 percent disappeared within six days, according to a recent study published in Scientific Reports. This could be good news for people in North Carolina, where there are more hogs than people. The pigs in just one county, Duplin, produce twice as much untreated waste as everyone in the New York City metro area. As you might imagine, the stench is nearly unbearable. But foul odors aren’t the only problem with all of this factory farm poop. When farmers use it as fertilizers, they introduce harmful bacteria, trace metals and greenhouse gasses into the soil, water and air. Boosting feed with antibiotics to produce fatter, faster-growing animals makes the pollution even worse. The federal Centers for Disease Control and Prevention has declared antibiotic resistance from factory farming a major threat to humans and animals. And the Food and Drug Administration is working to phase out certain antibiotics in farm animals, but the agency’s recommendations are voluntary, so farmers don’t have to comply. Enter vermicomposting (that’s right, like vermin) — using pests such as worms in North Carolina and fly larvae in China to reduce waste and convert the harmful contaminants inside it. Vermicomposting isn’t a new concept, but its popularity is growing with interest in home gardening and composting for a healthier planet. Vermicomposting on a larger scale may be a sustainable key to cleaning up our environment and preventing disease around the globe. Xu states in his paper that conventional cleanup solutions such as traditional composting and anaerobic digestion with bacteria are too expensive and inefficient to apply broadly, especially in developing countries. 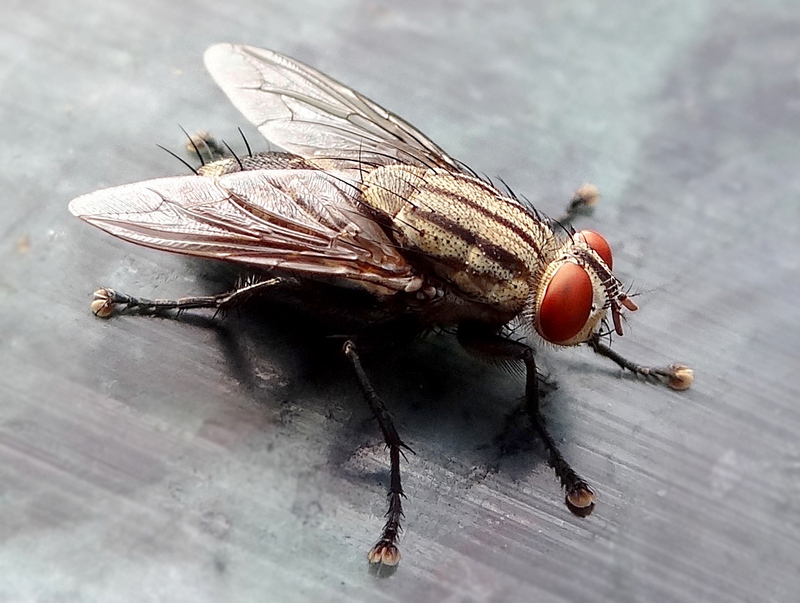 Studies show housefly vermicomposting is more viable — and cheaper. Xu chose flies over earthworms for his composting experiments because they produce a new generation every five to seven days and have so many offspring that University of Florida scientists can’t even calculate an accurate number. Within an hour of copulation, they’re copulating again. Earthworms, on the other hand, produce one to five eggs per cocoon, and they hatch in two to three weeks. It takes six weeks before earthworm pairs make their next cocoon. In a 2013 trial study, a system for composting factory farm poop with houseflies in DeQuing County, China captured nutrients and reduced odors, nitrogen production, E. coli bacteria and overall weight of the compost. Xu’s study, on pigs in Hangzhou, introduced a new benefit: reducing antibiotics. Housefly larvae removed nine antibiotics from the waste, including tetracyclines, sulfonamides and flurorquinolones — all drugs used to treat human infections such as pneumonia, chronic bronchitis, urinary tract infections and sexually transmitted diseases. With continuous contact with these antibiotics in manure, bacteria in animals and their farmers can develop resistance to the drugs, making fighting future infections a challenge. Copulating flies in a bag of potatoes may never be welcome in your home. But if the trend of fly-sprinkled compost continues, you might want to invite them into your backyard. There is no valid justification for raising livestock to kill and eat since humans have no biological requirement to eat meat. And given the ethical horrors, factory farms certainly cannot be justified. We do not need systems to remove antibiotics from wastes these poor drugged animals excrete, we need to abolish the practice of factory farming itself.